Parent & Me provides toddlers and their parents a wide variety of opportunities for social, emotional, physical and spiritual growth. 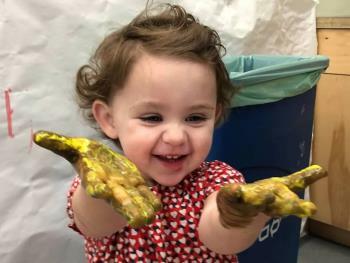 Classes include Shabbat celebration, and child exploration within our Nursery School setting, along with incredible opportunities to create meaningful friendships for parents and children alike. Please note there are NO refunds once the session has started. Thank you.